April 6th is National Siamese Cat Day, a nod to the beautiful bi-colored cats that have piqued our interest since their troublemaking in Lady and the Tramp. A relatively rare and somewhat pricey breed, Siamese cats aren’t as aloof as other felines and require ample affection and attention from their owners. Want more silly siamese facts? Why certainly! Read on! They’re a very old breed. Historians have concluded that Siamese cats have been around as early as the 14th century. Their tips are temperature controlled. Siamese cats have an enzyme that causes the cooler parts of their body, like their ears and tail, to darken and keeps the warmer part of their body (their torso) light. They were once cross-eyed and had crooked tails. But selective breeding has virtually eliminated these traits. They’re notably vocal. Siamese cats are very communicative, especially when felines are known for being standoffish and aloof. They were once treated like royalty. 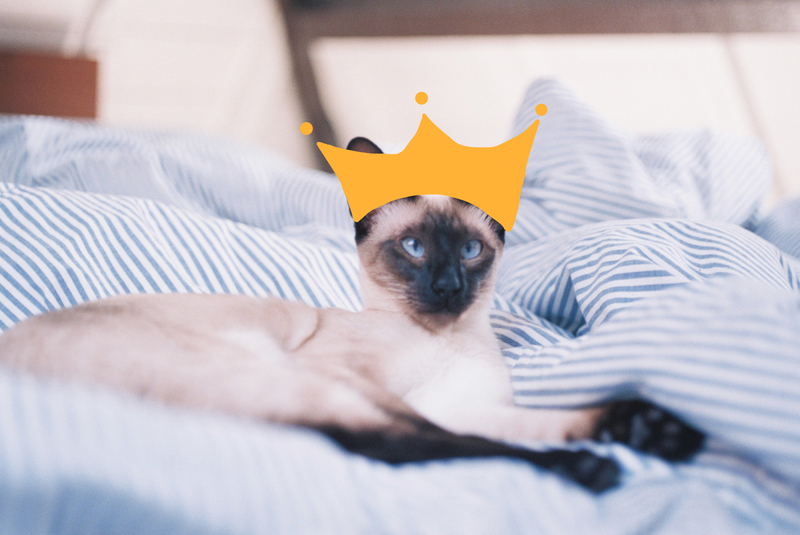 Hundreds of years ago, Siamese cats were treasured by royal families in Thailand and were even believed to inherit their soul and would spend the rest of their lives being pampered in a temple by monks. Bonus Fact: They foiled an espionage plan. Back in the 1960s, two Siamese cats at the Dutch Embassy in Moscow were arching their backs and clawing at a particular wall, only to uncover 30 tiny microphones behind it. Do you have a Siamese cat, or any funny stories about one to share? Post a picture and your story to our page! © Copyright 2019 Pets Add Life. All Rights Reserved.